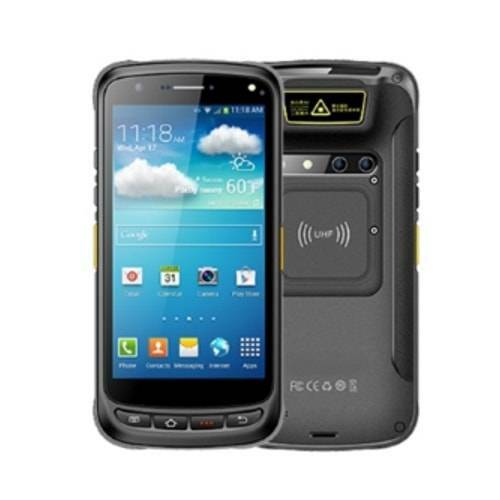 A8C71 is an industrial Android 6.0 OS smartphone , able to read light RFID transponders HF / UHF and Barcode 1D and 2D and Iride Sensor. Particularly compact and of minimum thickness. The A8C71 reader includes the version with two RFID + Barcode readers. It manages all the functions of a smartphone such as: telephone, WiFi, Bluetooth, GPRS / GPS and camera. Sturdy design with a 5,2″ large display, capacitive touchscreen and keyboard IP65 protection and guaranteed by 1mt drops.